Good preparation is the essence of a successful voyage, and the aim of this one-day seminar is to deal with all aspects of interest to anyone planning to leave on a long voyage. on Saturday 6 February 2016. This comprehensive one-day seminar is based both on Jimmy Cornell’s considerable personal experience and the practical information gathered as the organiser of over 24 transatlantic and six round the world rallies. In the last 40 years Jimmy has sailed over 200,000 miles, including three circumnavigations as well as voyages to Antarctica and the Northwest Passage. It is this rich font of practical knowledge that Jimmy is keen to share and pass on to other sailors. Jimmy is well known as the author of ‘World Cruising Routes’, ‘A Passion for the Sea’ and founder of the ARC. The day is designed to appeal equally to sailors who plan passages of no more than a few days, perhaps across the Bay of Biscay on the way to the Mediterranean, as well as those contemplating trans-ocean voyages. 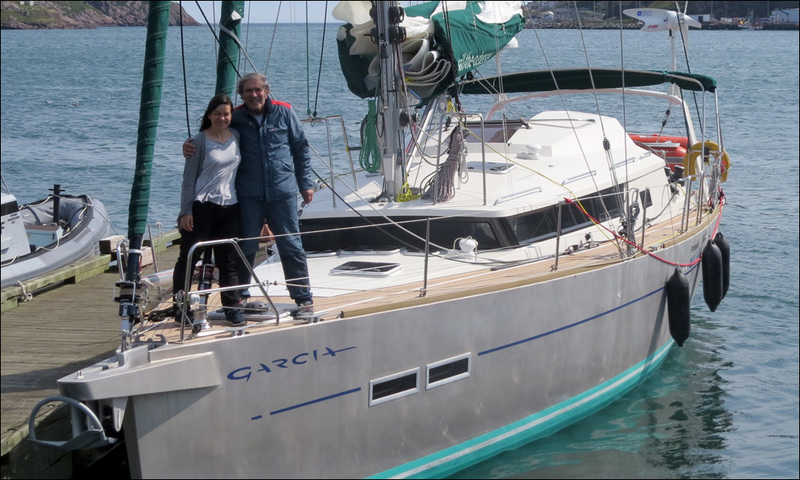 The programme will be of interest to both skippers and crew, with a special contribution from Jimmy’s daughter, Doina Cornell, author of ‘A Child of the Sea’ on sailing as a family and with children. Plenty of time has been allowed for questions and to talk informally with Jimmy and Doina about your own plans and concerns. Jimmy’s photographs of many of the world’s most beautiful cruising areas will illustrate the sessions. Essential aspects of preparations and execution of a successful voyage from the United Kingdom to the Mediterranean, Madeira, Canary Islands, or the Eastern Caribbean, and not forgetting the return voyage home. • The main factors that can contribute to the success or failure of a transatlantic voyage. 1530 – 1545 Questions & answers on energy. 1630 – 1715 Practical aspects of high latitude sailing. Highlights of voyages to the Antarctic and Arctic.